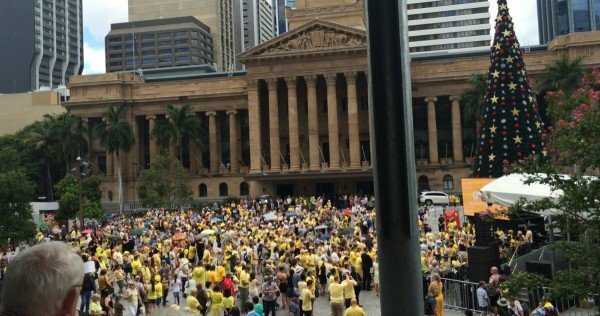 Doing it for Allison: Thousands march to show their anger at Baden-Clay decision. Nothing will ever bring Allison Baden-Clay back to her family. Nothing will diminish that loss. Nothing will ever render her death acceptable. 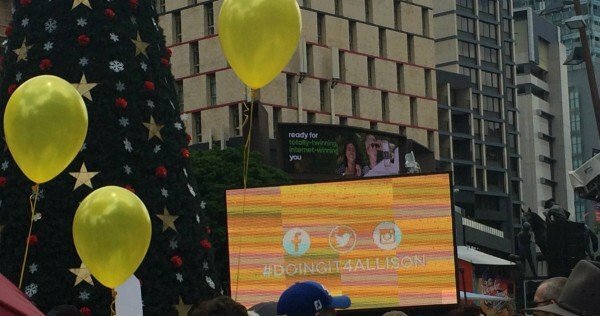 But today, thousands of Queenslanders have turned out to show that they remember Allison. 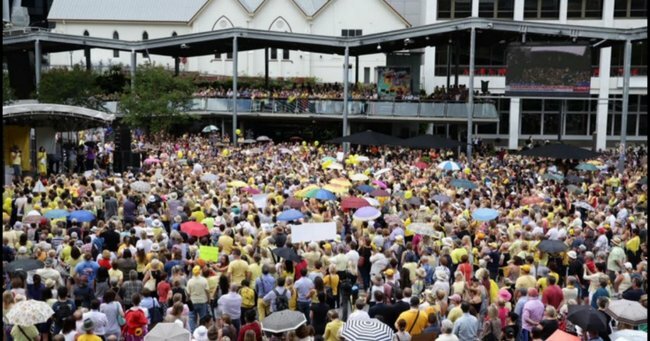 They are rallying to show that they will not be silent about the decision to downgrade Gerard Baden-Clay’s conviction from murder to the lesser charge of manslaughter. And across the country today, Australians are wearing yellow in solidarity with Allison’s family. 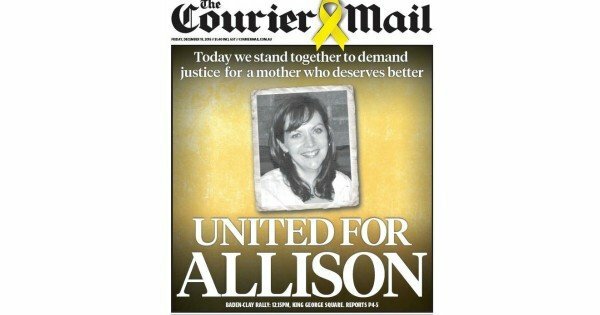 The Courier Mail dedicated its cover image today to the mother of 3 who was killed last year, calling on Queensland to unite for Allison. Close friends of Allison are leading the march along with the parents of Daniel Morcombe, Senator Glenn Lazarus and Lisa Wilkinson. She explained the purpose of the protest. A group called Doingit4Allison have organised the event and are calling on the Attorney General to appeal the decision to downgrade Baden-Clay’s sentence and to change the laws to make sure this does not happen again. “We need to let our political leaders know the social and legal structures designed to support and protect against domestic violence are not working. We’re #doingit4allison, we’re #doingit4all,” they say. 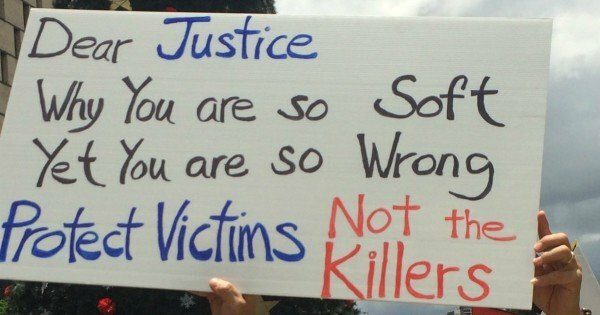 A Change.org petition calling for the Queensland AG to appeal the recent decision has attracted over 100,000 signatures. A string of high profile Queenslanders have added their voices to the campaign in this video. We are not in Brisbane today but we are marching for the same cause. For Allison, for her family and for everyone else whose lives have been impacted domestic violence. This is a day for unity. A day to demand better. A day to say enough.